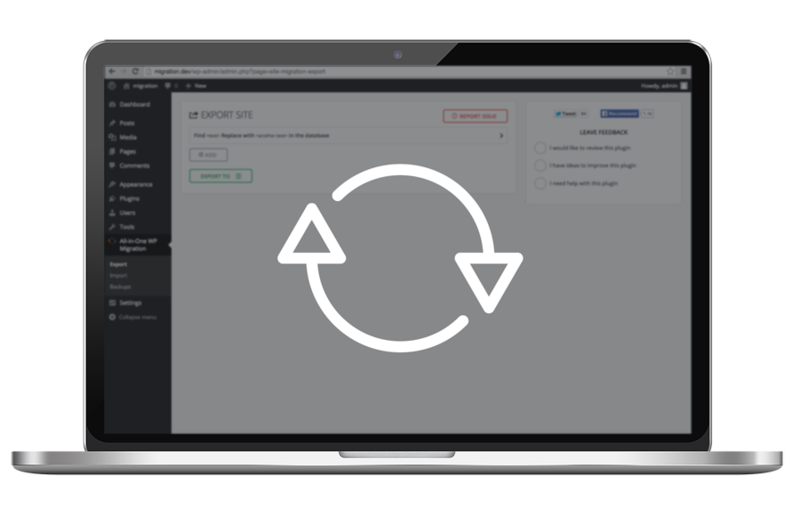 All in One WP Migration plugin | ServMask Inc.
We archive your data in seconds using WPRESS, our open source archive format. It takes a single click to produce a copy of your website. Remarkably easy import process that is intuitive, fast, and designed to support extremely large backups (community version is limited to 512MB, and this is achieved via extension). Everytime, you export your site, we are storing a backup copy available for later use. Backups are ordered by date and you can restore a backup by clicking the restore button.